Aircraft scale models undergo strenuous testing to characterize aerodynamic effects on the aircraft. Mounting the model to a stationary triaxial sensor allows test engineers to monitor and capture any lift, drag, and/or side loading that might occur. Researchers from Argonne National Laboratory, Carnegie Mellon University, and the Missouri University of Science and Technology team up to examine phenomena at the microstructural level. High-speed X-ray microscopy lets them watch -- in real time -- as 3D printers add layers. In hydraulic applications, seals made from two polyurethane components can resolve the conflict between sealing tightness and strength. 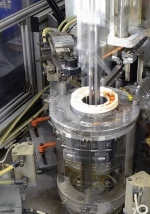 Freudenberg Sealing Technologies is now doing research on rotating seals in which polyurethanes are bonded with new high-performance plastics. Chemists at Georgia Tech have developed a new method to more safely and easily produce electrochromic films, which change their color with the help of a tiny electric current. This could make the technology available to many industries that have not been able to use it before. Paralyzed from the chest down since a racing accident in 2000, Sam Schmidt thought he would never drive again. In 2014, Arrow engineers modified a Chevrolet Corvette C7 Stingray to create a smart, connected vehicle with a human-to-machine interface that Schmidt can operate safely and independently using only the motions of his head. That model and its companion technologies have since been updated for even more impressive results -- and Schmidt has even raced Mario Andretti. In order to ensure the James Webb Space Telescope can survive its rocket launch -- before it gets to its destination a million miles away, where it would be nearly impossible to fix -- engineers strapped the telescope to vibration tables and shook it in every direction. Hard. It's a process every spacecraft and satellite has gone through since the space agency first began sending satellites into orbit in the 1950s. BellowsTech, an industry leader in the development and manufacture of metal bellows using edge-welded metal bellows technology, proudly serves the aerospace, semiconductor, UHV, Cryogenic, Oil and Gas, and various other high-technology markets. Learn how edge-welded bellows can work in your application. This product video focuses on the unique characteristics and parameters of edge-welded metal bellows. 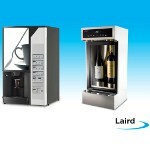 Laird's standard and custom thermoelectric cooling systems offer superior heat pumping capability with lower power consumption, noise, weight, and footprint compared to compressor-based systems. The 12-V or 24-V DC thermoelectric modules (TEMs) and thermoelectric assemblies (TEAs) offer reliability, design flexibility via vertical integration capabilities, and an overall lower cost of ownership. Thermoelectric coolers also operate at lower noise levels and provide a more environmentally friendly solution. This technology does not use ozone-depleting refrigerants, which must be phased out of new and existing equipment in the European Union by 2022. WheelMax Steering Drives from Allied Motion Technologies are fully integrated, electrically powered traction wheels with on-board steering systems for electric vehicles. Each WheelMax Steering Drive combines a traction wheel with tire, epicyclic gearbox, robust steering gear and bearing system, and two rugged PMDC brush motors, one for traction and one for steering power. The complete assembly is compact, easy to mount, and requires little to no maintenance. WheelMax Steering Drives handle loads up to 227 kg (500 lb) and provide 14 Nm (120 lb-in.) continuous torque at speeds up to 5 km/hr (3 mph). Applications include AGVs, autonomous robotic material handlers, pushers and tuggers, powered utility carts, and hospital patient handlers, among many others. 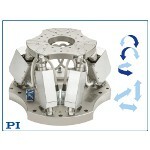 With the usability of 6-axis hexapods increasing in research and industry applications, PI introduces a new medium-load 6-axis precision motion platform, the H-825 hexapod. The H-825 provides a self-locking load capacity up to 30 kg (66 lb). 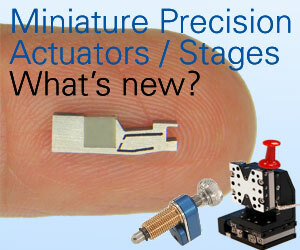 The motion range is up to 55 mm (linear) and up to 38 degrees (rotation). High system precision is guaranteed by absolute encoders and an actuator resolution of 8 nanometers -- with excellent position repeatability of +/-0.1 µm and +/-2 µrad, respectively. The parallel-kinematic design of the hexapod makes it smaller and stiffer than traditional 6-axis positioning systems while providing a higher dynamic range. 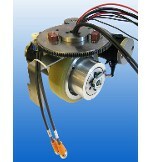 Features long-lifetime brushless servo motors. Proto Labs has entered into a definitive agreement to acquire privately held company Rapid Manufacturing Group (RAPID), a New Hampshire-based custom parts supplier specializing in quick-turn sheet metal fabrication and CNC machining. 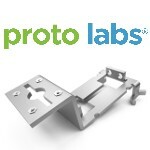 With the acquisition, Proto Labs will be able to offer its customers another quick-turn manufacturing service while expanding its CNC machining capabilities. 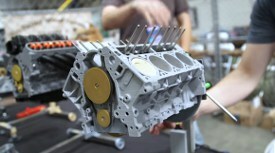 RAPID was founded in 2001 on the idea of using automation to provide custom sheet metal parts faster than traditional methods -- a story that closely parallels Proto Labs’ own by optimizing product development and improving supply-chain efficiencies through a variety of digital manufacturing methods. 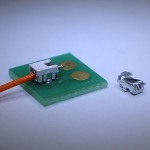 In the fast-growing LED/lighting market, lead wire is a major component used in connecting a board to a lighting module. The conventional method of manually soldering the wire to a board presents limitations that result in a complicated assembly process and an unstable connection. Yokowo’s new one-action Lead Socket Connector, however, eliminates wire soldering and allows users to easily plug the lead wire into the socket. A two-contact lock structure ensures a reliable connection. Applications for the Lead Socket Connector include LED lighting, LCD television backlights, tablets, PCs, and any device where a lead wire must be soldered onto a PCB. If you drop an aluminum spoon in a sink full of water, the spoon will sink to the bottom. 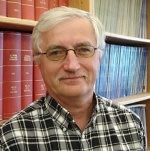 But if you restructure the common household metal at the molecular level, as Utah State University chemist Alexander Boldyrevand and colleagues did using computational modeling, you could produce an ultra-light crystalline form of aluminum that’s lighter than water. Researchers at the Navy Research Lab have developed and received a patent from the U.S. Patent and Trade Office for an electrolytic-cation exchange module (E-CEM) capable of both producing hydrogen (H2) and simultaneously extracting CO2 from seawater. 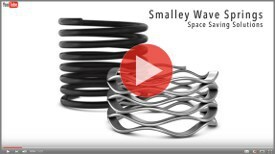 When space is an issue, Smalley Wave Springs can reduce spring heights by up to 50% compared to ordinary coil springs. Smalley’s expanded manufacturing capabilities now allow us to coil wave springs to almost any diameter. Regardless of your unique application requirements, Wave Springs are an ideal solution to save space and weight.